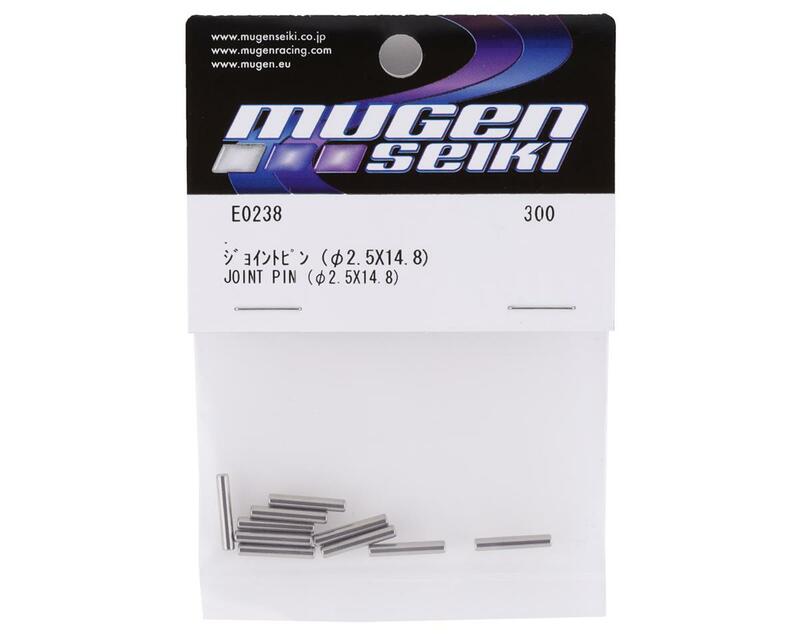 This is a set of four replacement Mugen 2.5x14.8mm Universal Joint Pins, and are intended for use with the Mugen MBX6 and MBX6T 1/8 scale vehicles. These are recommended maintenance items for MBX6 and MBX6E plus the MBX6T. 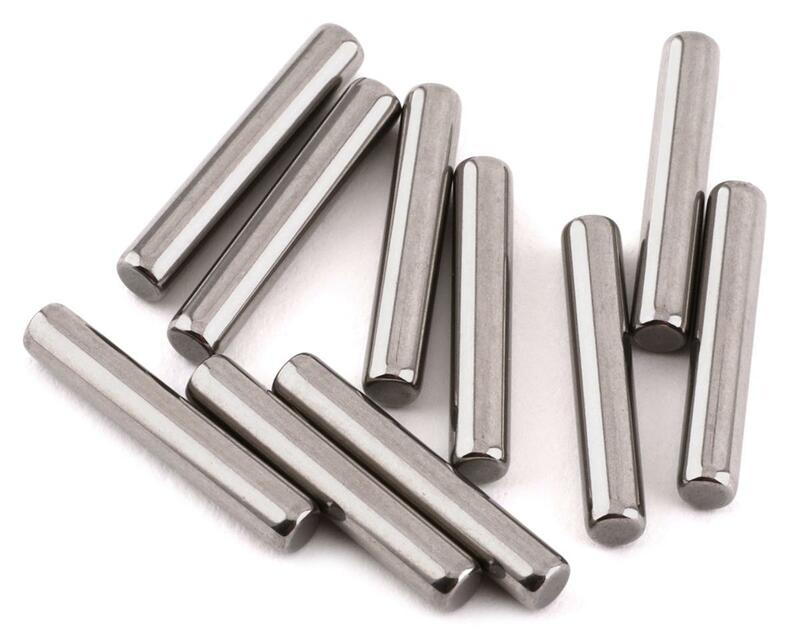 These are needed on the axle pivoting area of dogbone for the left and right axles on both front and rear drive shafts to tires or as some would call these the CVD Axle pins. It is recommended to check these after several long races as they do get partially worn down eventually, which can cause slack in drive train responsiveness. There are also the ones for the center drive shafts but are different part numbers as these are only for the drive shaft dogbone axle areas going to the tires.